In 2011, one in five Canadians were born elsewhere. In our largest city, Toronto, it’s every other person. The truth is that we are an immigrant nation. We live, work and coexist with people different from us everyday, but it is our differences that make us strong and prosperous. Canada is successful because—not in spite—of our diversity. 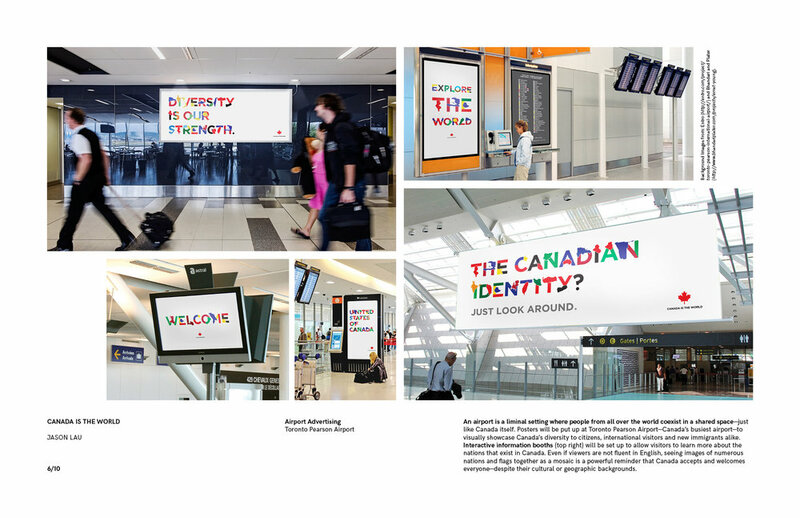 This typographically-led campaign aims to not just communicate Canada’s “postnational” identity to the world, but also to showcase its ethnocultural diversity by visually bringing together nations (represented by custom letters) through bold statements. 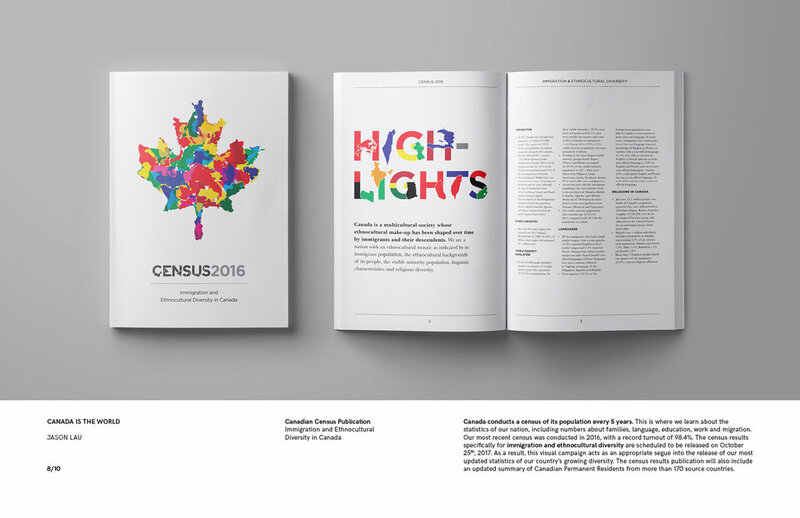 Most importantly, this is a project which showcases how graphic design can be used to communicate political messages, agitate and inspire social action in bringing people of different backgrounds together in celebrating the true Canadian identity in 2017. In a post-Brexit and post-Trump era, the world has become divided. It has never been more important than now to remind the world of the importance of diversity. 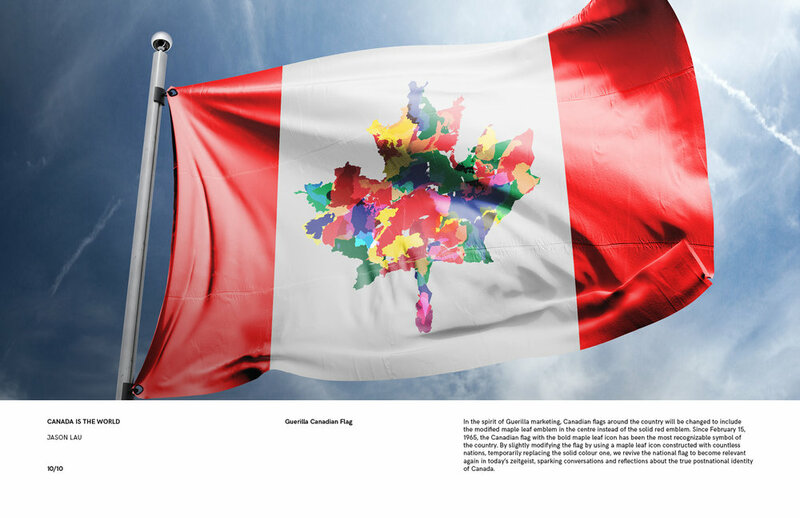 This campaign has the power to prod, agitate and provoke critical conversations of globalization, immigration and ethnocultural diversity and harmony. It's not just about Canada—it's about Canada as a model for the rest of the world's nations. While Canada may be the first postnational country in the world—it's safe to say that it will certainly not be the last.